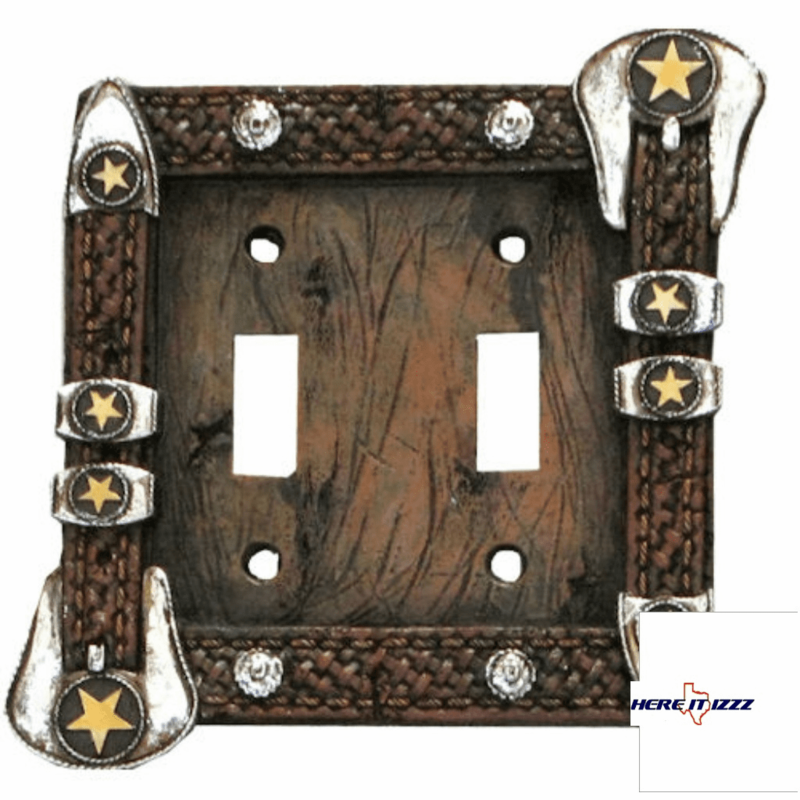 Simple and easy to change out one simple screw is included. 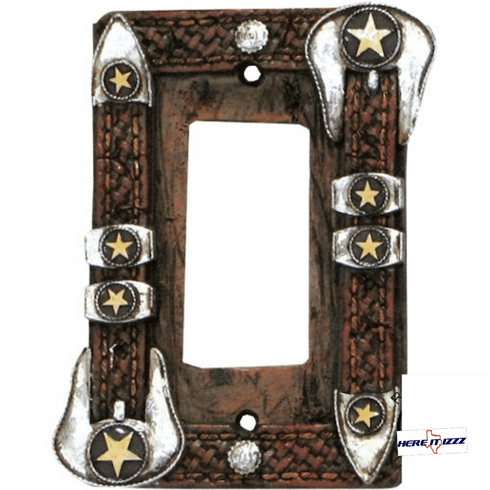 Old Western Star Decora rocker plate is just what you need to update the look of your home or office. 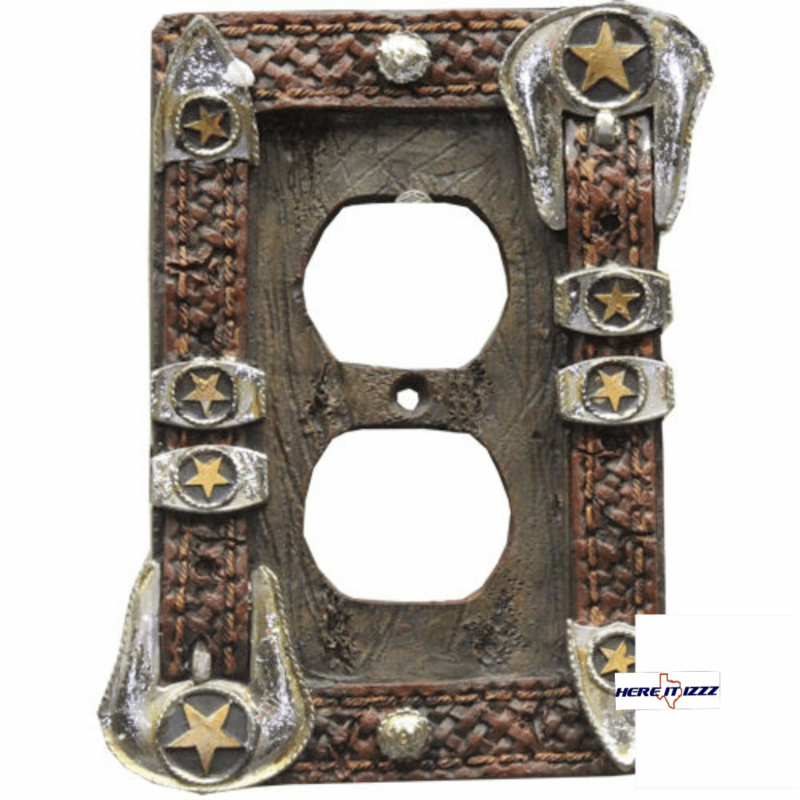 Polyresin materials for a great look an easy maintained surface. 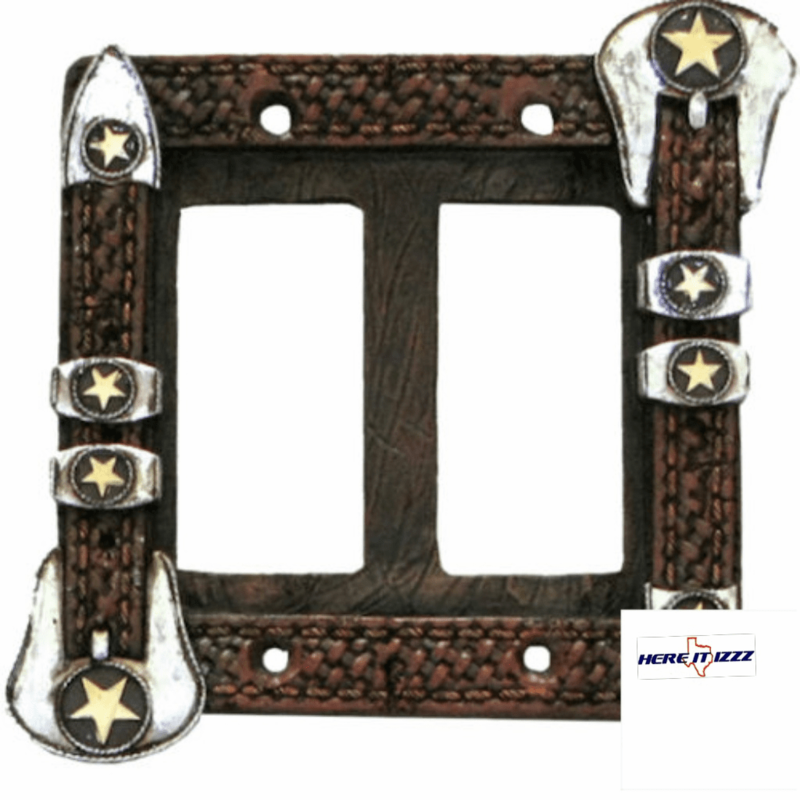 Decorated with Western Stars and buckles weave design hardwood looks. 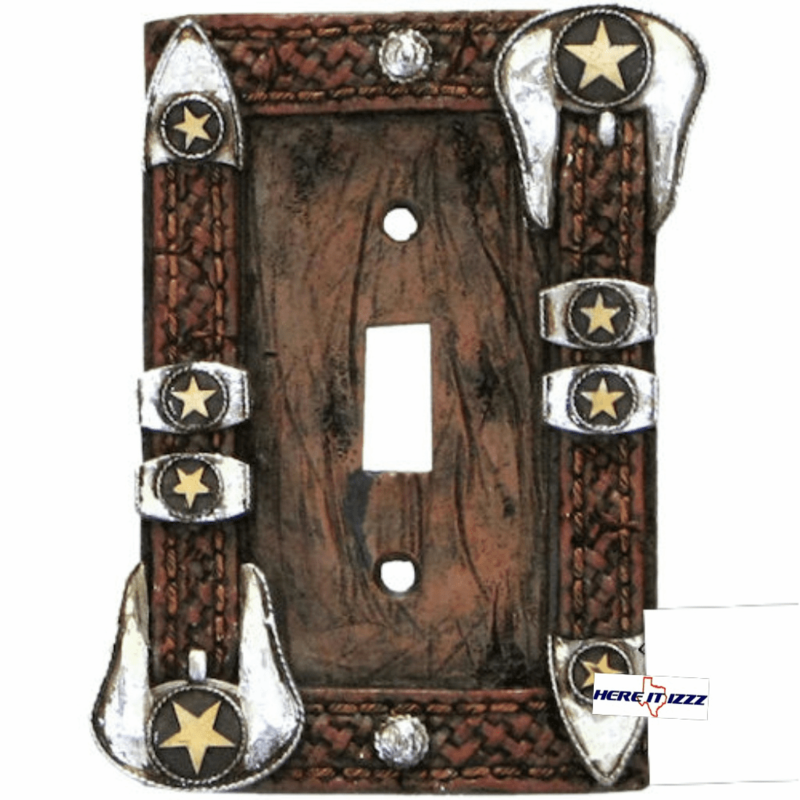 This great item will fit your standard pedal rocker style light switch or cover.